The way to establish an effective landscape plan is by understanding you, the client. The curb appeal you create with your residential landscaping should be a curb appeal that reflects you and makes your head turn. It's important for us to know what colors and textures you like, what practical issues need to be addressed with the landscaping, what your commitment to maintaining the landscape will be, what your budget is and what your expectations are from the landscaping contractor. It's also important to note that in the Manhattan/ Topeka KS climates, some plants will work better than others. Don't worry, our staff will gladly guide you through the many beautiful plant options we have in Kansas. Once we can establish these points, the next step is to formulate an actual design for your landscape like the one seen above. We like to think of the first design as a starting point for client and landscaper. It's almost unheard of for a design not to get tweaked as the project progresses. Besides, tweaking the landscape is like exploring ... it's fun and adventurous! 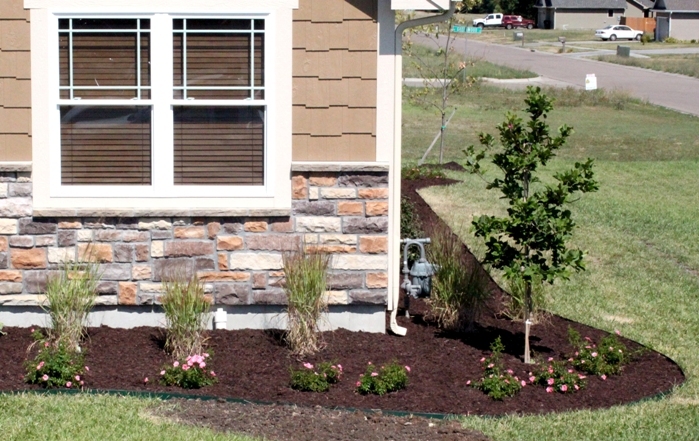 Woody plants, perennials, mulch, ornamental trees, decorative rock, native grasses and shrubs are a small part of the variety ValleyScapes uses when designing and constructing your front yard, backyard or commercial landscaping. 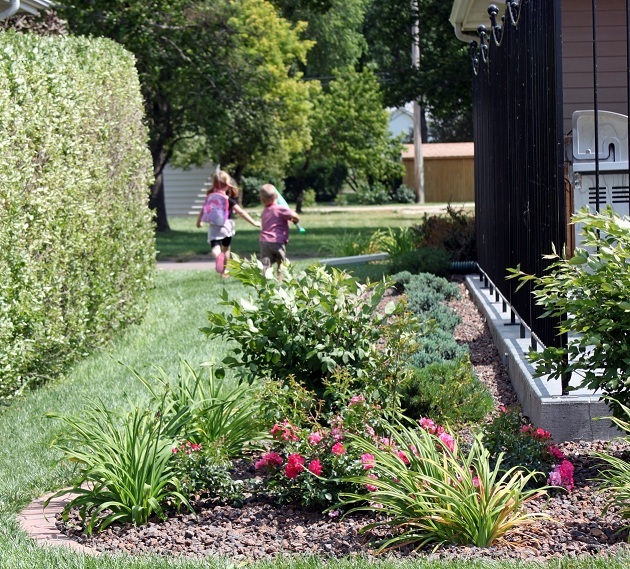 The photo above, for example, is a low-maintenance commercial landscape designed with the idea of minimum maintenance, drought tolerance (little human watering), low lying shrubs for better visibility, and heavy river rock instead of hardwood mulch (mulch typically needs new applications every 1-3 years). 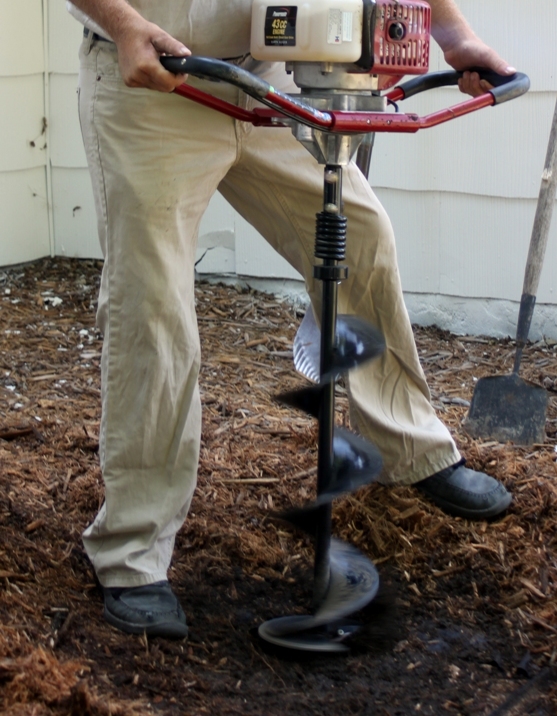 Most landscapes typically don't involve throwing plants in the ground on impulse. There are dynamic site conditions that influence the landscape design. Depending on where you live in Topeka or Manhattan, KS, the micro climate of your yard can vary. Is it exceptionally windy? Is there full sun or full shade where the landscaping is going? Are there storm-water drainage issues to consider? What is the soil composition like? Is there more humidity where you live, because there's a nearby lake? 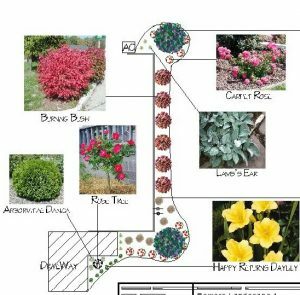 Answers to questions like these are going to determine what sort of plant materials will be used for your landscaping and how they will be positioned. Yes, when ValleyScapes designs and installs your landscaping, plant material is under warranty for one year from the date of planting. 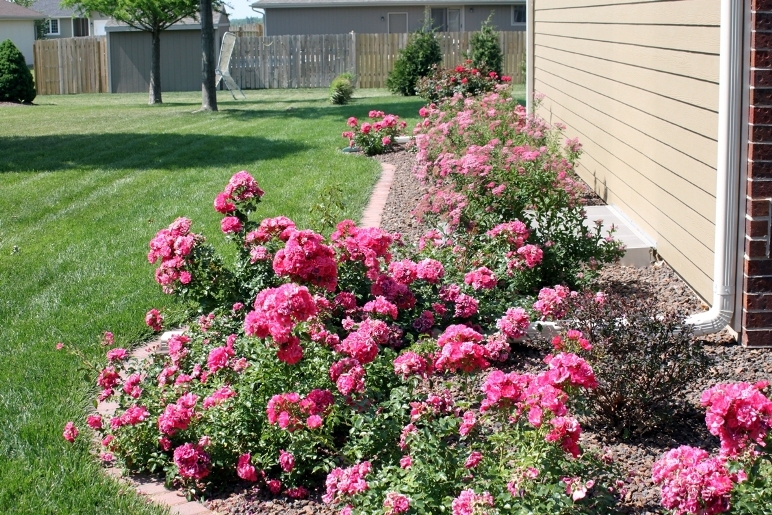 We've created many landscapes in Topeka, KS, and Manhattan, KS, so why not let us construct your landscaping? We're pretty awesome at balancing your dreams, needs, budget and wants. Ask for references at any time!